Aztec was inhabited for about 200 years, with the first arrivals coming about 1088-1090, and the deepest excavations have found Chacoan pottery. According to tree-ring dating the West Ruin was built between 1111 and 1115 AD. 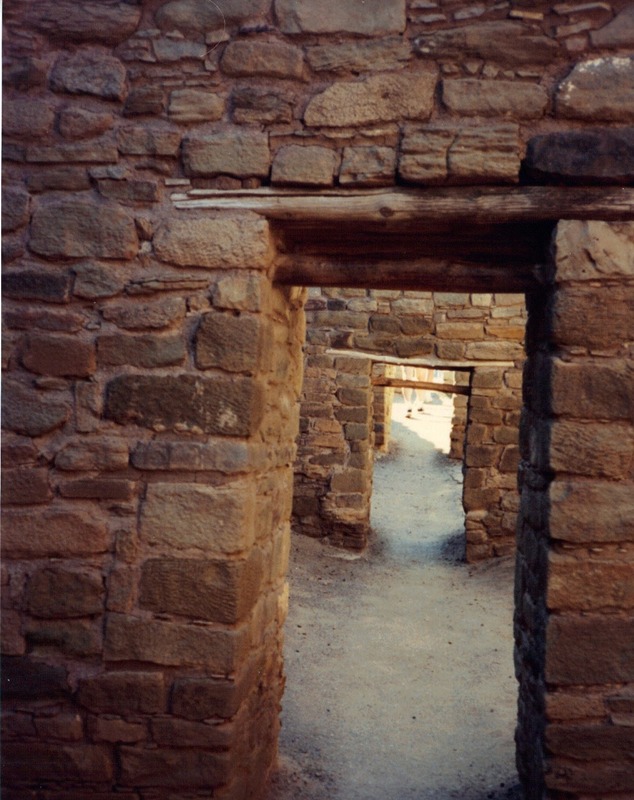 This 450-room pueblo includes one of the few tri-wall kivas ever found. 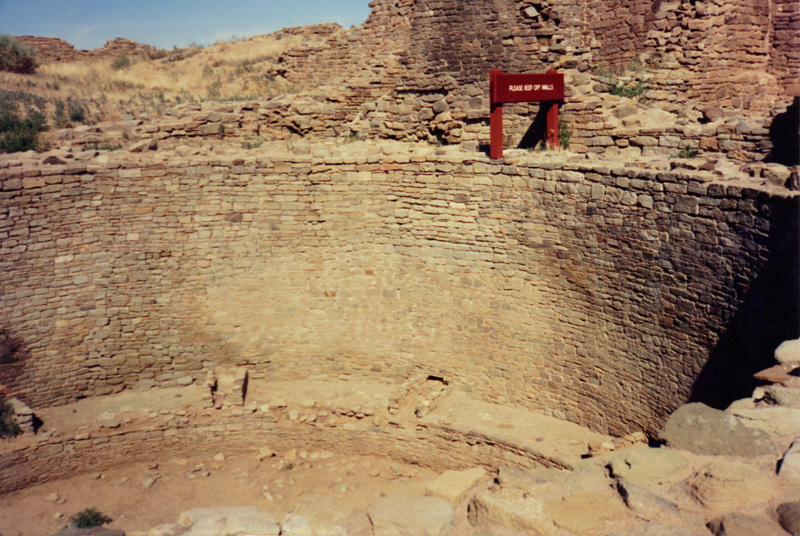 By the 13th century this pueblo may have equaled Chaco in size. A severe drought began in 1130 that was to last 60 years, and by 1150 the Chacoan social and economic center was declining which impacted Aztec as well as Salmon Ruin. Though the region was mostly abandoned, some local peoples of the San Juan Valley lived at both sites until about 1185 and they used the structures as they found them. Then people related to the Mesa Verdans took over in 1225, and changes in the architecture were made, consisting mainly of dividing the large rooms and building many small kivas within the large square and rectangular rooms. As each succeeding group moved in they depleted the resources of the area according to their preferences and moved on. A drought from 1276 to 1299 was the telling blow and the last inhabitants left in the 1300’s. The name of Aztec Ruins National Monument is a misnomer. 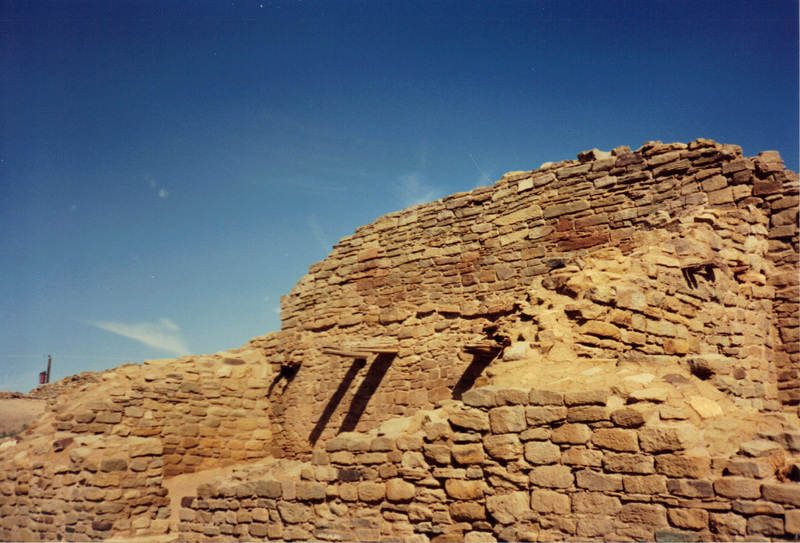 The structures found here were not built by members of the Aztec civilization but were built by the Anasazi (ancient Puebloans) of the nearby Chaco Canyon and Mesa Verde regions.